How Will the Latest Facebook Algorithm Change Affect Marketers? We discuss Facebook's updated News Feed and how to adapt your content to it. November 2018 update: On November 15, Facebook announced yet another algorithm change. The latest algorithm update will demote “borderline content” that is sensationalist, intentionally provocative, or nearly violating Facebook’s content policies. That’s because the January 2018 Facebook algorithm change tried to promote content that got people talking in the comments, but this had the side effect of giving controversial content more priority. On another note, our predictions from this article seem to have come true, with organic reach on Facebook for brands seeing a decline since the 2018 algorithm change was implemented. While ad prices on Facebook have increased over the past few months, paid reach on Facebook remains a viable option with high ROI for social media marketers. Facebook is also diversifying its ad network, with Instagram ads and Facebook messenger ads gaining momentum this year. The overall trend we’re seeing is an accelerating shift in social media marketing from organic to paid social campaigns. For more on the implications of the 2018 Facebook algorithm change and tips on how to adapt to it, read on. The latest Facebook algorithm change has meaningfully changed how its News Feed algorithms prioritize content. On January 12, 2018, Mark Zuckerberg announced that users should “expect to see more from friends, family, and groups” and less from “businesses, brands, and media”. On top of that, Facebook has also announced that the changes will reduce engagement for Pages across the board. Obviously, this has quite a few brands freaking out. Here at Falcon.io, we have a piece of advice for you: don’t panic. We’ve put together five key pieces of advice on coping with the updated News Feed and making sure your organic reach doesn’t plummet. Organic reach isn’t dead…but you’re not going to like the odds. Let’s face it: there’s already a ton of competition for organic reach. According to Facebook, the average user has about 1,500 stories competing to appear in their News Feed every time they log on. Facebook’s algorithms then select roughly 300 of those stories based on their ranking of how relevant each story is to that user. On top of that, organic reach and engagement for branded content have been declining for years. Back in 2014, the organic reach rate for brand Pages was already down to 6% (and as low as 2% for brands with over 500,000 followers). From January to June 2017, the average number of engagements with branded content on Facebook fell more than 20%, and we can expect that number to decline a bit more as organic reach decreases. With Facebook as a pillar of the social media landscape, marketers need to find ways to adapt. So, what will the 2018 Facebook algorithm change mean for organic reach and engagement? More importantly, how can you adapt your social strategy to compensate? What’s new with News Feed? We know what you’re thinking. What counts as a “meaningful interaction”? While Facebook hasn’t announced any publicly visible metrics for marketers to measure this, their Marketing Partners team provided a few examples in a recent FAQ. So, to make sure your posts don’t lose engagement, make sure that your posts have a lot of engagement. Sounds like a catch-22, right? But things aren’t as bad as they sound. If you can maximize the number of “meaningful interactions” with your content, your organic reach shouldn’t take much of a hit. Other important points to keep in mind: branded content will not be moved out of News Feed, and brand Pages won’t be disadvantaged compared to other Pages. To sum up: brands, publishers and media companies are all in the same boat. Organic reach for Pages will keep declining, but there are ways you can make sure your brand still has a strong presence on Facebook. Think about the content that prompts you to really engage. Is it the content that entertains, inspires or amazes you? With all that extra weight being placed on interactions and comments in the 2018 Facebook News Feed update, you will really need to stimulate your followers’ opinions and feelings. As Facebook announced in their Marketing Partners FAQ, multiple people replying to each other’s comments on an article or video is a prime example of a “meaningful interaction”. If you can post content that gets people discussing or debating in the comments, you’ll not only have great engagement stats, but you’ll also get priority in the updated News Feed. If you focus your organic posts on stimulating at least one of these six emotions, you’re likely to see a boost in shares and comments. Your brand can still be prioritized in the new Facebook News Feed as long as you share content that amazes your audience and gets them talking. With the new Facebook algorithm change, you may be tempted to do whatever you can to boost engagement and keep your Page’s content prioritized. If you go too far, however, you’ll end up hurting because of it. Last month (perhaps in anticipation of the News Feed update), Facebook released an announcement about “Fighting Engagement Bait”. In short, it stated plans to lower the News Feed rank of posts deemed to manipulate users into engaging with them. First, “vote baiting” asks followers to “vote” on one of several options by reacting to or commenting on a post in a certain way. Second, “react baiting” prompts users to give specific reactions to a post. Third, “share baiting” offers hidden value to users that share a post. Fourth, “tag baiting” calls on users to tag friends with characteristics defined by a post. Last, “comment baiting” pushes users to sound off in the comments with a particular word or phrase. Essentially, you can’t game the system by begging your fans for shares, tags, and likes. The only way to keep your organic reach solid is to create or share genuinely interesting, discussion-provoking content. Much like including opinions and emotions in your posts (and especially in your headlines), sharing quotes is practically guaranteed to increase engagement and meaningful interactions with your content. Quotes are highly shareable on social media. For instance, tweets that include quotes receive 19% more retweets on average than those that don’t, and quotes are one of the most-shared content categories on Pinterest. The thing is, this applies to all quotes. They could be famous quotes from historical figures, or simply pull quotes from the interview or article you’re sharing. All that matters is that the quote sparks intrigue and gives your followers something to talk about. Try this as a split test the next time you advertise on Facebook. Use one ad with a standard headline, and another with a pull quote from the content you’re advertising. Compare engagement rates on both ads—we think the results will speak for themselves. One particularly potent combo for sparking meaningful interactions is to post a video and include a key quote from the video in the header or video description. That way, you fuel your audience’s curiosity with the quote, then catch their attention with engaging video content. 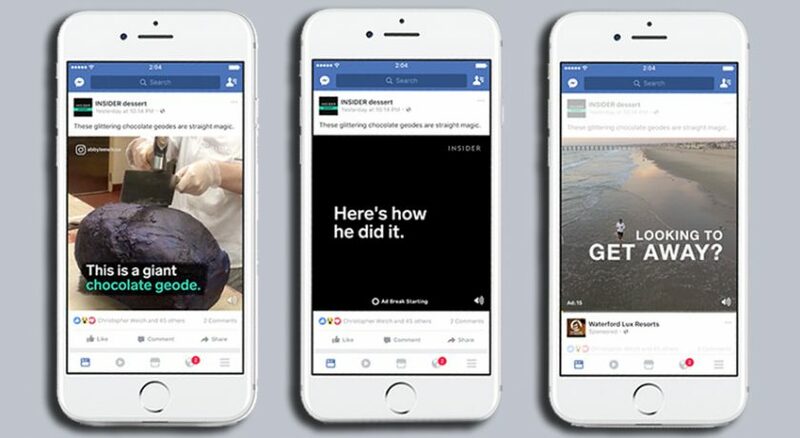 Video is king on Facebook right now. To give you an idea, there are over 8 billion video views through the platform every day. More importantly, engagement and reach are through the roof for Facebook videos. Video content posted on Facebook sees an average of 135% more organic reach than photos. On top of that, native Facebook videos have a mean engagement rate of 4.9%. Compare that to the average engagement rate of under 2% that posts from major brands typically get, and you’ll see why video might just be the most powerful tool in your social media workshop. Facebook’s News Feed algorithms also prioritize video, essentially giving your video content a free bump in your fans’ Feeds. And that bump is amplified by the fact that videos take up a large amount of real estate on users’ screens. Don’t forget to add captions, too—82% of Facebook users watch videos with the sound off, and videos with .srt caption files included receive as much as a 367% increase in engagement as a result. Behaviorally, people tend to stop scrolling if they see movement in order to identify what it is. With that in mind, even GIFs or videos that are just a few seconds long can be incredibly attention-grabbing. Even if your brand doesn’t have the time or resources to produce high-end video campaigns, simply making use of animated content could help you maintain your posts’ ranks. Live videos, though, are the cream of the crop for engagement. Facebook recently mentioned that live video content prompts six times the number of user interactions as regular video on average. Facebook’s algorithm change will count those interactions as meaningful engagement, and combining that with the already insane reach that native Facebook video garners is sure to elevate your Page’s posts in News Feed. Many marketers forget one simple rule: you can’t build a business on organic reach alone. With that in mind, even if the latest Facebook algorithm change does lead to a downturn in your Page’s organic reach, there is no reason to lose your cool. You will almost always see a positive ROI from Facebook ads. Facebook ads have higher ROI and cheaper prices than TV advertising, Snapchat, YouTube, and a large array of other services. Even for small businesses, it’s still possible to see positive ROI from a solid Facebook ad campaign. Not only that, it’s a basic fact that advertising on Facebook is scalable. Organic reach is not. Therefore, you may need to rethink exactly what you’re using organic reach for. Organic posts are not for reaching out to vast hordes of potential customers or getting your brand message spread far and wide. Rather, they’re for building deeper relationships with the people who already know and love your brand and providing a communication channel directly between you and your fans. On a more pragmatic level, they are also a strong tactic for testing content before choosing to put spend behind it. Meanwhile, paid Facebook ads can precisely target your ideal potential customers in large numbers. You can scale them up almost indefinitely as long as you’re getting a positive ROI and reach exponentially wider audiences with almost no interference from News Feed’s ranking system. If you want significant reach on Facebook in 2018, it looks like paid posts are your best bet. In some ways, this marks a new era for brands on Facebook. Although the death of organic reach has been bemoaned for years now, Pages that don’t adapt to the 2018 Facebook algorithm change are likely to see yet another drop in their reach. Some have even claimed that small businesses could be doomed because of the update. So why not be pessimistic about the new News Feed? First, because at the end of the day, this update is a long-term investment. Facebook users will see an improved News Feed experience that prioritizes the kind of content that brought them to the platform in the first place. This will pay off with increased user satisfaction. While organic reach for brands may decrease, that’s certainly a preferable alternative to watching users leave Facebook in droves because their News Feed became too “spammy”. Second, while the update may prove a short-term speedbump for brands that depend heavily on organic reach, there are also many ways to adapt your content strategy accordingly. You can either focus more on Facebook ads, adapt your organic content to the new ranking system or, ideally, do both. Post more videos, especially live ones, and don’t forget to add captions. Make sure your headlines and descriptions include strong opinions, emotions, quotes, or all of the above. Don’t fall into the trap of engagement bait, or you’ll end up worse off than you started. Finally, keep your focus where it should be: on cost-effective and efficient Facebook ad campaigns that will reach a much bigger audience than organic posts could even before this latest Facebook algorithm change. If you want to manage all of your posts, organic or paid, more easily, consider a content calendar like Falcon’s. And to make sure you’re still hitting the reach and engagement benchmark’s you’ve set, our Measure module offers a simple and comprehensive solution. Finally, for more on the Facebook News Feed update, read this handy FAQ in our Help Center.